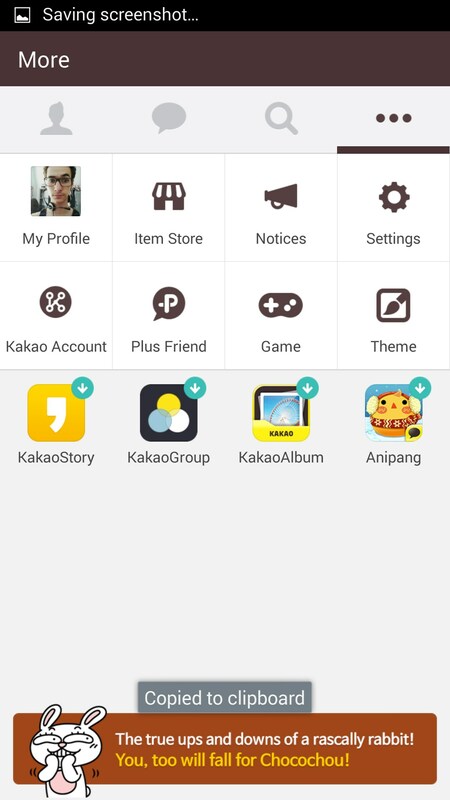 KakaoTalk: Free Calls & Text – Soft for Android 2018 – Free download. 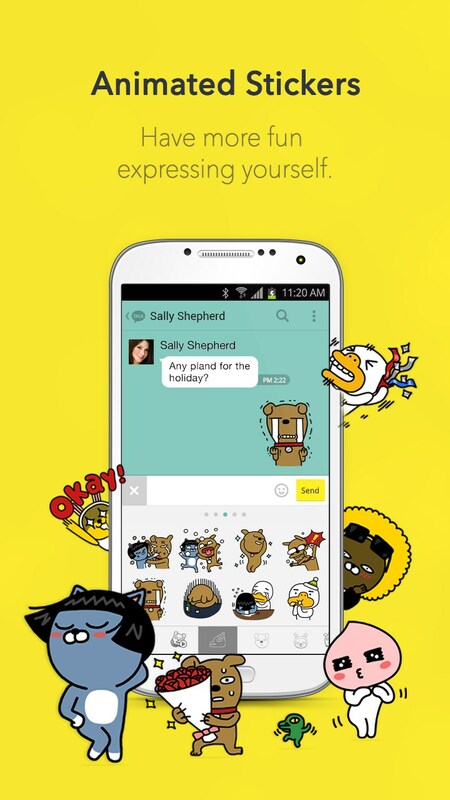 KakaoTalk: Free Calls & Text – Amazing messaging app with tons of fun features . 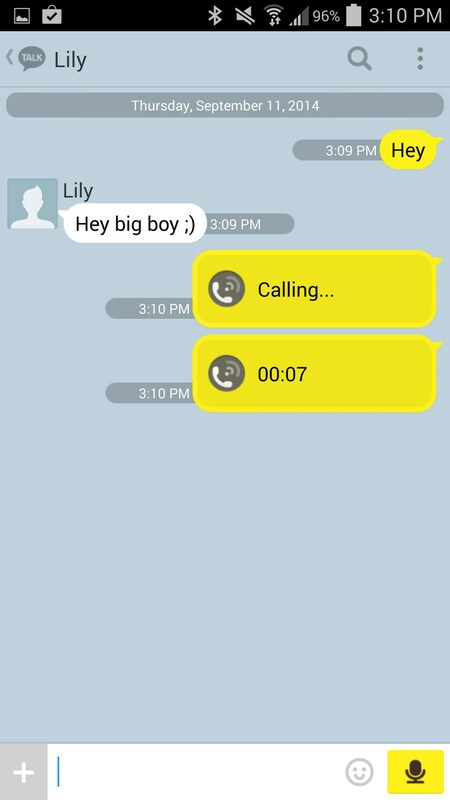 KakaoTalk:Free Calls & Texts for Android is a powerful and stylish messaging application that has free text messaging and calls. 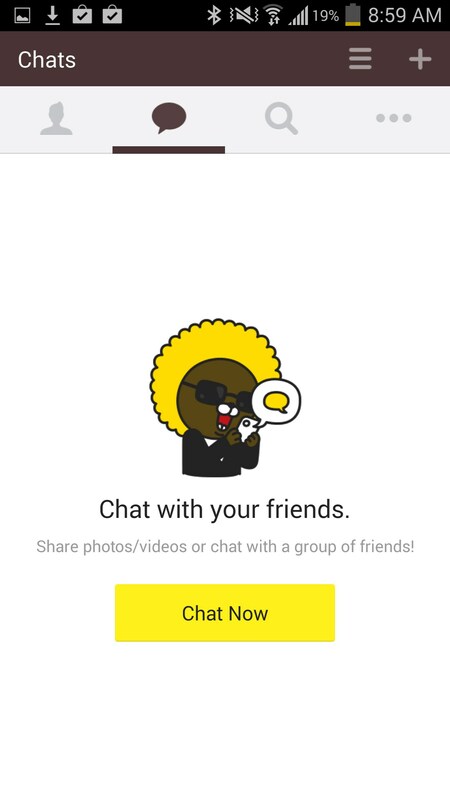 From the creative yellow design, to it's name, and it's newly fashioned minimalist design that is popular among the best applications - everything about Kakao seems viral. From the amount of reviews on the Android store, I would say it's been successful in doing so. After figuring out how to use it (make sure to sync contacts. If your friends don't have it then get it, make sure to resync in the settings), I was not only impressed with what the app could do, but I was also impressed with the integration that exists on PC and MAC. 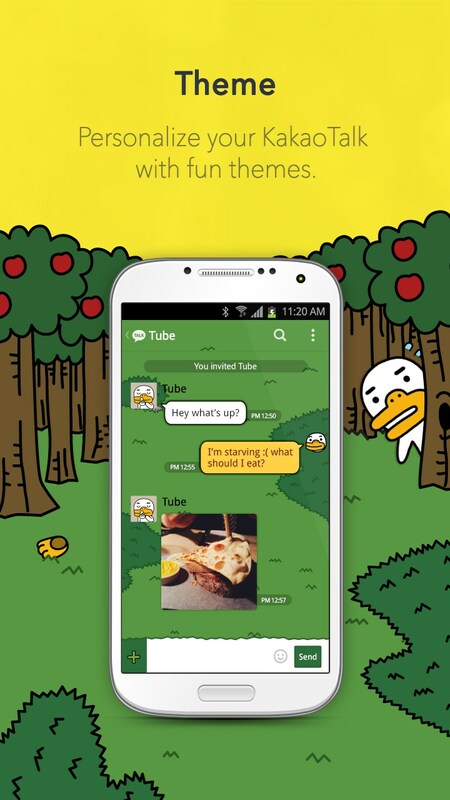 With popular applications like Pushbullet, and Endless Jabber, Kakao matches itself among the best. In some ways Kakao seems to be another messaging alternative for phones, and then in other ways it seems to want to replace Skype as well. I was asking myself various questions while I pondered the application. What does this do that Skype doesn't, or what does it lack? But mainly, what does it do better? 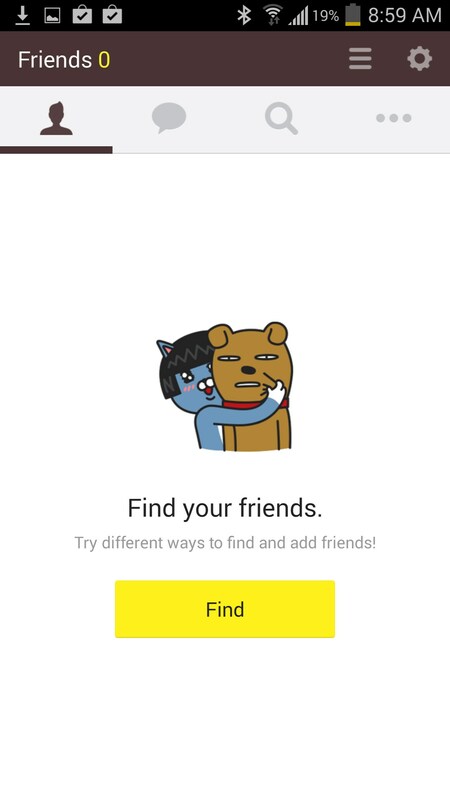 Kakao's core messaging work well. You have your added friends and then when you start a chat it looks clean and relatively uncluttered. Inside the messaging part, there are a plethora of neat options. You can even quickly record to type without even using your native keyboard. There are polls, funny emojis, and options to use a calendar. This part of the app makes it great for messaging, and looks neater and works better than Skype. The calling on the app works just as good. After tapping on a friend, you just pick call. Then once you have connected the call (ringing sounds pleasant with a funny little chime), you also have the ability to modify your voice with funny voice changers. Beware! If you have trollish friends, they might like this feature a little too much. Besides having a clean standard blue interface, there are also other themes to download from the play store. Not only themes, but there are also other color options and backgrounds available in the app! These enable you to change the look very easy but most of the themes are quite kiddy, as the app itself does contain a fair amount of cartoon charm. I couldn't help but want some more slick and mature themes. 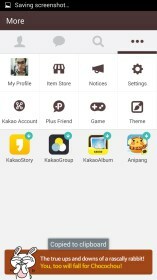 KakaoTalk is a great application for those looking to replace texts with free texts, or even for those looking for a very powerful featured calling and messaging application. 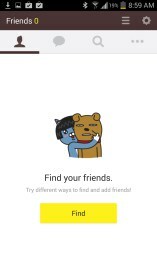 Like all apps that maintain a connection through internet, Kakao does like to steal battery life. It simply seems the best app to waste it on. Hi! If you click on the install link then it'll take you to a place to install the app. These are the WORST instructions I have EVER encountered. They might be good if you already know how to download. Detective in the genre of "hidden object"
Brand new arcade hit game!